We are thrilled to be interviewing Natalie Jameson – C.E.O | MUM | Design Thinker | Tech4Good / Social Business Innovator | Speaker | Author| Educator The Heroworx is reimagining executive education in the digital economy with the world first Financial and Business Services intrapreneurial accelerator. They position women and underrepresented groups to thrive and drive exponential growth with quadruple bottom line values aligned to the UN SGDs. Natalie’s steered a multidisciplinary portfolio career and education through two children, four industries including Acquisitions Finance, Sustainable Interior Architecture, Start Up Healthcare and 5 countries (often as the only women). The final piece of the jigsaw for starting The Heroworx came as Head of Food and Beverage Finance in a digital transformation team at Siemens Plc. Inspired by the possibilities of and called to action by how underrepresented women and minority groups were. She believes there is magic at the intersection of women’s education, empowerment, digital innovation in Enterprise. Her central question is, what if business practitioners all thought like human-centred designers? Would our approach to work and life be purposefully diverse, creative and connected to humanity and the planet for meaningful innovation and sustainable industrial development? Will: Today we’ve got Natalie from Hero Worx, a fantastic lady who is trying to change the way that the world Works in business by embracing technology and using technology for the power of good. Her program is a nine-month program that empowers women through a network of heroes. I can’t wait to speak to her, and I can’t wait to learn more. 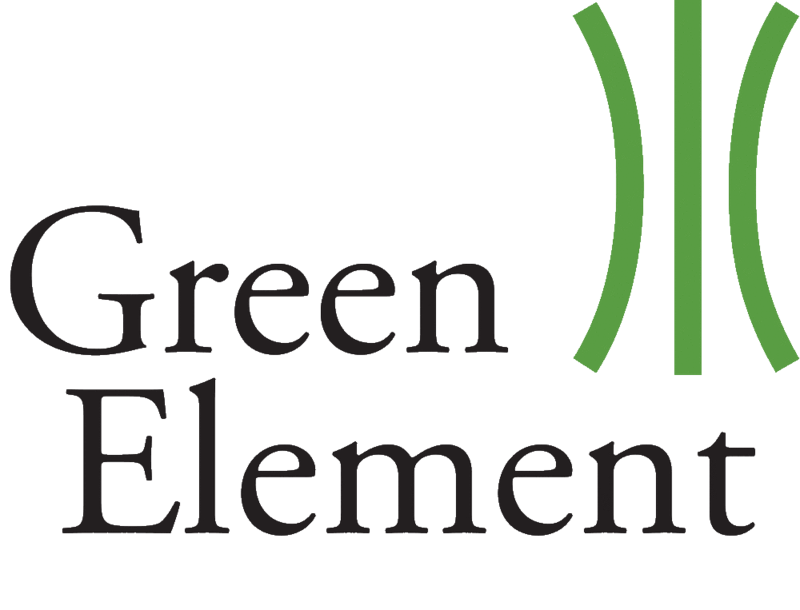 Thank you so much for coming on the Green Element Podcast, it’s awesome to have you. Natalie: It’s a pleasure to be here. Will: Tell us more about you and Hero Worx and what it is that you’re trying to achieve. Natalie: In the world, what are we up to in the world, in the great, wide world. Well, we are trying to save the world, Will and we’re trying to do it one woman at a time. So, a bit of background, I guess probably as well as my multidisciplinary education, I also had a multidisciplinary career as well and I’m promoting this for sustainable survival of the digital economy. Having these multiple talents that you, I guess, multiple sources of fulfillment and financial wellness. So, my background, I was the daughter of a rebellious white middle-class English rose and my dad, who was an American-Indian and African-American, one of the first black ones in the U.S. Air Force. He was in the [01:53 unintelligible] squadron and we traveled all over the world, so that was a real buzz for different cultures and diversity and exploring is in my DNA if you like. Funny enough, there are no career days in Department of Defense schools, and they just assume that you’re going to go in to be one of these world protectors or whatever and I always wanted to be creative but was discouraged. So, I ended up going into business and finance as you do because that was a sensible thing to do, I studied business and then I went into the world of acquisition financing. I worked for a company to the big guys like Barclays and that type and I spent some time going around Europe helping to put systems in after integrations and that type of stuff. In 2008 when the credit crunch hit, I’ve been having a wonderful time mostly as the only woman on the deal team if you like, but it was getting hard. In 2008, when we had the Global Financial Meltdown, my husband’s best mate is a dentist, actually, and he’s quite an entrepreneurial chap. He decided to try and do something along the lines of bringing healthcare to retail and they started the UK’s first dental network inside sales booths in Tesco’s. My involvement was at the outset, I did the initial pitch to Sainsbury’s and we ended up opening up the first one and that just flew and then we opened seven and ended up selling that to a group of healthcare. While we were doing that, I was also raising a little baby and I had some time on my hands, not, and decided to do this sort of second degree, which was the interior architecture side. I spend some time doing some projects and commercial projects and I really got into sustainable and retrofit sustainable technologies on heritage buildings and how you could marry the old and the new and I just thought it was just a really amazing thing. I did a lot of volunteering with the Manchester Art Gallery and I did lots and lots of stuff like that. I developed this hybrid between business and design but from a commercial perspective. I really saw that the big challenges we are facing in the world around poverty and inequality and climate change, it wasn’t going to be the government that was going to solve it, it was going to be business. The old paradigm of business education was broken because we were just still measuring and incentivizing and building competency frameworks around a framework that really wasn’t producing the remedies in the corrective actions that we needed. So, I carried on with a corporate career up until my last position which was at Siemens where we were helping the UK food and beverage sector to digitalize. The closer I got to that technology, two things, firstly, I could see what an amazing way of reducing our carbon footprint. Obviously, it had some sort of displacement issues around old jobs and people’s jobs etc. but the biggest thing I thought was that digitization and harnessing the power of digital could be the way of addressing these inequalities in society, addressing the climate change issues and stuff. So, nobody’s talking about it on the inside of these big financial institutions or the big accountancy firms or anything about how the world of work is changing. I was like, if we can layer on top of all of their business expertise in the same way that I have this creative, social business architecture skill, then we have a great chance of doing this. The untapped value of women, in particular, is like 28 trillion of additional Global GDP. So, what could we fix with that? What diseases could be looked at, what systems and carbon issues can we fix, what can we do with that money? So, this is worth doing it. So, I guess growing up in this community of the world’s protectors and when I see things on the news because we moved every two or three years, so when I see things on the news my family circle feels like it’s quite wide. So, I feel a personal attachment to it, and I go well, I can help so I should help. So, I pulled together a bit of a crack team and we call them hero makers and hero makers are those educators, mentors, coaches, business owners, employers who can elevate through education and empowerment, women into these positions. So, I guess if the U.N. created a digital-focused MBA, it would be this program. So yeah, we take them through the first part which is around an acronym, it’s called future, the first is to find and align your purpose to the UN Global goals. So, 17 of them and there will be one there that you most have the affinity to, whether that’s life on land, whether that’s sustainable industrialization or gender equality or whatever it is. Find the thing that, to your core, brings you the most meaning and purpose and then align your business, your leadership to that. So, that is find and align your practice, then unleash your moonshot mindset and that’s all around. This is what a lot of the programmes focus on when it comes to women in business, it’s around getting out of our own way, self-limiting beliefs and all of that. So, that’s around the mindset piece, so those two are the human-centered workplace if you like. Then it comes to the technology and for each one of these modules we have what we call a hero maker, so somebody who is acing it in their space and also helps us meet incredible people of all sorts. The t is, think digital and tech for good, so that’s around firstly opening their eyes to the possible, what technology is shaping our world? So, then you can start to get sparkling about ideas and how you could help to use technology to further your mission, whatever it may be. Also, there’s a practical side of it, so we take them through to designing a wireframe and those who might get sponsorship from their business might be addressing something like a cost-saving or a carbon reduction or some kind of initiative within the business. Those who want to create a side business themselves would work on a project themselves. Then it’s unlimited your creativity and innovation and that’s all-around design thinking, business modeling, lean business modeling, minimum viable, prototyping and all of that type of stuff and I do that bit. Then we have an increasing, so reach which is reaching social influence and that’s all around creating your personal brand and we’ve got a partnership with Raphael and the high-profile clubs. It’s about positioning yourself, it’s that go to person and building all the career assets that you need. Then finally, it’s about extended value and that is about productivity and creating freedom systems that allow you to do more without working more hours and all that kind of stuff. So, that’s the full program, that MBA type program if you like and it’s a nine-months, six-step program. It’s a blend of workshops and online e-learning platform, virtual classrooms, that type of stuff and then we wrap around coaching and mentoring around that. We have organizational hookups with people who helped them become non-executive directors of charities and sports and that type of stuff, so they can position themselves in positions of influence of the digital economy. So, there’s a very long answer. Will: It sounds great, I’m a bit blown away by it. I may be a third of the way through what you’re just telling me just letting it sink in and thinking about it. So, is this all done remotely and online? Natalie: No. We taught them future-proofing design your career sessions, we get like 50 women together and we have four or five of our hero makers come and we run a mini-conference for the day. It’s a really active session so they might do a little bit of purpose alignment in there and then you get a big, long slot which is like a doing version of a vision board, but for your own career. What impact do I want to make in the world, how am I going to do that? Then we have panels etc. and then after that, they might join us for like a two-hour mastermind boardroom session and then from there, they start off. The first cohort is going to be April, May time, we just got to get our ducks lined up to go through the full program and then we’ll obviously be offering the courses as well and workshops, live workshops as well. Will: You are based in Manchester? Natalie: I am, but that’s what I love about the internet as well, so our hero makers are all over the country and we look to take that globally as well. Natalie: We should have you as a hero maker. Will: Well, maybe, I don’t know. Will: What got you interested in sustainability? To be honest with you, what annoys me slightly is, I went into a meeting the other day, a networking meeting, and there must have been 20 people roughly, of which two women were there. I literally walked in and went, “Oh, it’s another all-boys club, awesome.” That was actually all I really thought about and I was sitting there just going I actually don’t want to be, it’s not that I don’t want to be a part of it, it was more how on earth, because I went straight back to the organizer and just went, “How come there are only two women in this networking group, I don’t get it? Well, what are you trying to achieve?” I know that one of the person’s companies is going for B Corp, so I know that they think correctly but what they’re not doing is they’re not joining up all the dots. Natalie: I don’t think it’s intentional sometimes, I think it’s just that people [15:15 inaudible] and they think like that and so when they’re thinking about their list they’re going, oh, I’ll invite Chris and I’ll invite so-and-so. It’s the people that come to their head and unless they proactively have a metric and what they say about measuring the right things and this isn’t just about headcount and quotas, it’s actually about innovation and it’s about reaching your customers with the right message. If you’re only thinking about it from your own point of view, so I don’t want to just market to women because actually, I need hero makers who are employers, who are going to empower women and position women. So, when I’m writing my copy or doing my events marketing, I’m thinking about who my stakeholders are and so it’s just a simple business thing. It’s a comfort thing, just going to the people that we know, I think it’s just highlighting it, so you do the right thing by highlighting it, hopefully, they will then think next time actually. Will: Yeah. I was wondering if anyone else thought about it. The reason why I think about it is I’ve got a colleague of mine that talks about it quite a lot in a good way as far as I’m concerned. I don’t think I would have thought about it as much if Emma didn’t speak about it and we talk about it in office now and we’re very conscious of when we’re employing people and who are employing, etc. It doesn’t matter so much in sustainability because in actual fact we’re slightly more on the woman side anyway in the environmental and sustainability sector, to be honest with you. Will: Yeah, I think it’s a more, it’s probably not PC save, it’s probably more of an effeminate job partly probably because of empathy and partly because you’re thinking about other people and we’re doing this to better the planet for our future generations. That’s what we’re driving forward, so maybe that’s it, I don’t know. Natalie: I think you’re right and it actually gives us a tiny bit of confirmation to one of my theories is that if we empower these women in these positions, we’ll get a mothered earth. So, it’s actually something that I believe, I guess it’s proven a little bit that we think, and this isn’t the case for everything, but we have a natural nurturing. It’s okay to say that, men are nurturing too, yes men are nurturing too, but I think that generation after generation after generation of our mothers, and up till now it’s been very much the case that our mothers are the ones who do the nurturing in the family. Going back to even when I was a kid, my dad, I don’t think he ever took me to school and that was very common, my mom cooked the dinner, my mom did all these things. My dad was a lovely guy, but he was a soldier, he’s like, I’m out there fighting and I’m doing this for the world and for my family and so your job is the nurturing. I think they’re still rolls for that and you can swap them, in fact, my husband and I have swapped at the moment and it has taken us about a year to get there. Now my daughter doesn’t have happy faces and potato waffles for dinner on the same plate, so we’re making progress. It’s taking a while to swap those natural roles, so I think that’s okay to say, I’ll probably get shot for this, but I think that’s the truth. Will: Yeah, I think that if we embrace what’s around us and talk about what’s around us without feeling as if we can’t, it’s the only way we can change. As long as you’re good to other people and you are, I guess, polite to other people, not in a false way but you’re respectful to everyone around you then you can say what you want if that makes sense because you’re respecting everyone around you. Will: You wouldn’t say anything that was bad, you would be respecting people. Natalie: I think there’s a place that needs to be and I don’t think English and again, I apologize if I’m offending anybody but the culture in England is very much to be very polite and polite is great but sometimes polite means that we don’t deal with the big issues in the room. Everyone’s not wanting to upset anybody, so nobody is saying anything or calling out when actually, you know what, by just changing that behavior we could all make a big difference here whether that be the environment, whether that be a culture of acceptance, from a gender perspective or whatever it is. Just calling them out and just saying actually you know what that’s not okay, or maybe if we just stopped using these plastic straws. I know it’s easy, but why don’t we just say let’s not do this, I think it’s time for honesty, time for respect and honesty. Sometimes your mum, certainly my mom, she would be the one if you need to be told something she would tell you. There is that saying I’m doing this because I care about you and I care about the environment is to be able to have that honest conversation. Will: So, what made you interested in sustainability in the environment? What was that tipping point? Natalie: The tipping point I think was that being in this multidisciplinary team with the Siemens guys and seeing that the food industry is our largest manufacturing sector, so I could see a few things. Firstly, in huge sympathy to the industry is they had all of these rules and regulations coming out of them around refrigeration outputs and then you have the pressure from the consumer saying we want less sugar and we don’t want fat and we don’t want all of the health pressures as well. Then we have this concern around Brexit with access to labour because it’s still a very labour-intensive industry, but they feed us this industry, they are a super important industry, but I could see how by helping them to be more digital we could really make a huge impact on the sustainable footprint of this industry. I just started to think well actually, if they’re a huge chunk of it and we can help them to see that we can not only help them to meet the demands of the market and the customers but they could also start to reduce the carbon output for us, then I just thought this is something that I can get my head around. So yeah, I became a little bit of a, not an eco-warrior but more of wanting sustainable growth but I saw that direct correlation between that and business innovation. So, it’s one of the inputs to being relevant and staying ahead of your competitors, also customers want that. We’re looking at them to set an example, so I want to see my food coming back and it’s the fancy Asian pears and they have the wrapping on the bottom, whatever that spongy, plastic stuff on the bottom. Then they have a net that goes over the top and then that’s wrapped with plastic and I’m like, come on guys, you can do better than this, I don’t expect that, I’m happy to go and pick up my pears and put them in a paper bag or something. We’re not demanding it but there’s a payoff as well around our demands for food shelf life and plastics. It seemed like a way of adding to this new paradigm of business ethics and values and it just had to be in there. Will: Okay. So, how do you think you can influence change? Natalie: Exactly the method that my theory of change is that if we empower these women and we give them the sort of social business architecture skills with these values of sustainability and diversity and inclusion and all of these things. We’re not just making stuff for the sake of it, then we will mother earth and that’s the whole point of the business. So, I think we can get half the population, not that I think I’m going to educate half the population but certainly by joining this movement if you like, women’s movement and the ethics and the tech for good and all of the things we can we can empower them and educate them with these skills and will make a huge difference. Will: Brilliant. How do you think our listeners can get started with understanding how to be more sustainable? Natalie: You know what, it starts with you and there are just small things, I think we talked about this a little while ago, there are small things, it’s just understanding what your baseline is, understand your own carbon footprint firstly. Understand how your actions have a wider impact, that circular economy, so making some choices, we as consumers have the most power. So, stop buying the stuff, they won’t make it simple as that and certainly, there are more and more platforms for us to get informed and make healthy choices for the planet as well as for our families as well. We are getting more options as well, so cars, the things that we can buy our children, where we’re getting our coffee from, where we’re getting our food from, the packaging, we support these businesses, I think that’s how change will come. Will: Okay, brilliant. So, what would you want people to take away and do straight after this podcast? Natalie: It’s just one thing, just do one thing, change one thing and then start to change another thing. So, start with one thing, start to look at what you buy like your main purchase and choose the eco-friendly version, choose the one that has the least harm and impact or imprint on our resources, that’s it, just do one thing. Then, don’t get overwhelmed by it basically, just change one thing. Will: Brilliant advice and of course, the next thing would be to sign up to Hero Worx as well. Natalie: Yeah, I keep forgetting that, I’m supposed to be promoting the business too. I get so into the cause that I think the commercial element actually goes sideways, I can’t change the world if I get nobody on the program. Absolutely, so the first event is on the 28th of February in Manchester at the Chamber of Commerce and then we have the next one after that which is on the 11th of April which is at the UK Fact campus, follow us on Twitter @theheroworx, LinkedIn at The Hero Worx. We’re just going to try and give out loads of value-based stuff that you can start to learn how you can position yourself in positions of influence to secure your fulfillment and your financial wellness and your flexibility and just live the life that you want as well. Will: Brilliant. Thank you so much, Natalie, for being on. Natalie: My pleasure, thank you for having me. Will: For providing this huge amount of knowledge and enthusiasm for what you do, it’s been brilliant. Natalie: My pleasure, I’m going to try and sign you up as a hero maker as well, all that knowledge that you have. That’s great, it’s been great to talk to you, see you soon. Will: Yeah, you too, thank you.